Having a reliable and fast printer in your office can change the way your business operates. You need to be able to complete the jobs you need done, when you want them done. 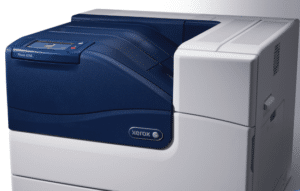 The Xerox Phaser 6700 Series is the full color printing solution you need to increase the productivity of your office. The Phaser 6700 series is built with the trusted Xerox technology that has made them the most trusted name in office tools. This amazing printer was made with efficiency in mind in order to get your workplace working more smoothly, and more productively. The Xerox Phaser 6700 Series offers full 2400 x 1200 dpi print resolution that will make your colors truly pop. It was built to not only be fast, but also be able to produce the best quality of color prints available. Using the available Adobe PostScript features along with the impressive print resolution will allow you to make the best color prints around. It can also handle the workload of your busy office with ease. When you aren’t using the amazing full-color print option, the Xerox Phaser 6700 series will produce black and white prints at a super-fast 47 prints per minute. You can confidently keep that pace up for the long stretches of time, as the Phaser 6700 series can handle a monthly duty cycle of up to 120,000 page duty cycle. If you need a printer that will accomplish all your goals, then call us at Albuquerque Copier today. We can get you a fair lease on the best printers and copiers in New Mexico.